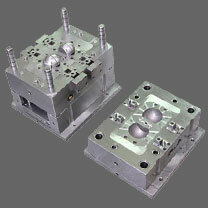 The injection molding machine outputs cannot be set, but the inputs can be each time you set the injection mold. Some of these set points, like mold temperature and barrel temperatures can be set. Of course this depends on which factors are the most critical to the injection molding process. If you had ability to perform a simple screening DOE before you put a specific injection mold into production, Minitab can pare to out the most significant inputs. If nothing else, these would be the ones to monitor. However, you'd likely want to capture fill time, cushion, screw recovery (loading time) and cycle time (especially if the machine is not run automatically. I'll also add that fill time usually relates to the cosmetics of the plastic part, holding pressure and cooling time with the dimensions, and recovery time with consistent melt temperatures. If the injection molding process was developed using scientific molding principles, screening and optimizing DOE's, it should be a robust process, producing both acceptable plastic parts and consistent machine outputs. If I correlate the injection molding machine outputs with part specific features, such as a critical dimension with holding pressure and time, the I can be assured that if I maintain these times and pressures, my plastic part will be good, shot to shot. I've also used pressure transducers to monitor injection molding processes. But what if my injection mold is somewhat unbalanced? Maybe one cavity has a lighter weight than another, or it fills slower because of an imbalanced hot runner? Unless your system is capable of managing each cavity individually, this system doesn't add much value. But I do like it to identify injection mold issues. And what happens if the injection mold flashes only .001" or .002" in a critical area? Will my weight scales be able to detect this? Bottom line, if you have unlimited funds to purchase advanced monitoring systems and have employees that know how to operate them properly and analyze the data they produce, then by all means use them. But if you are dependent on your machine operators to produce good product, you must give them simple tools that they can understand and use while they are right at the injection molding machine. And they can monitor virtually every shot in real time, so if something does drift, or a machine or mold issue does arise, they can notify appropriate engineering personnel immediately.